This week was all about finishing up. We assembled, dipped, waxed and oiled away in order to get all the products ready for the photo shoot with designer duo Raw Color. 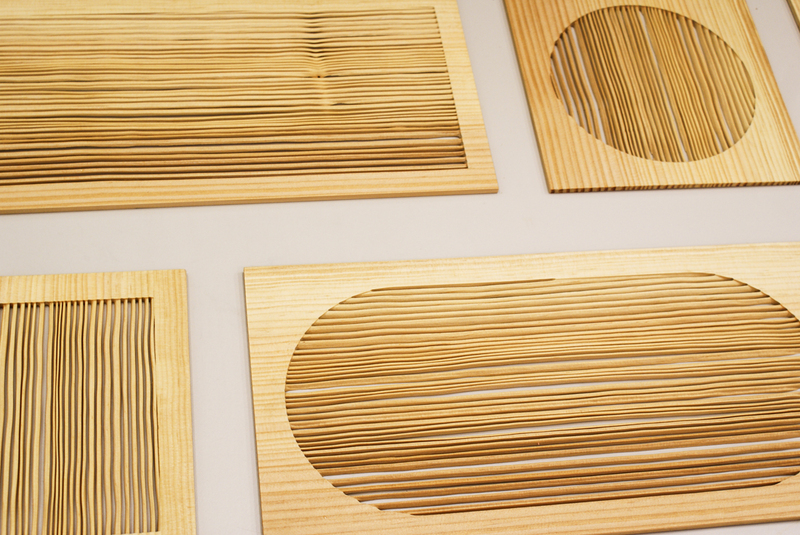 When we set out with the sandblasting experiments, one of the first products that came to mind were the matches. Their shape is the residual result of making optimal use of the sandblasting principle: blowing away the softest material. Each match is one annual ring. A match needs to make fire. To realise this for the photo shoot, we choose a rather provisional method. We scraped off the heads of prefabricated matches and dissolved them in water. 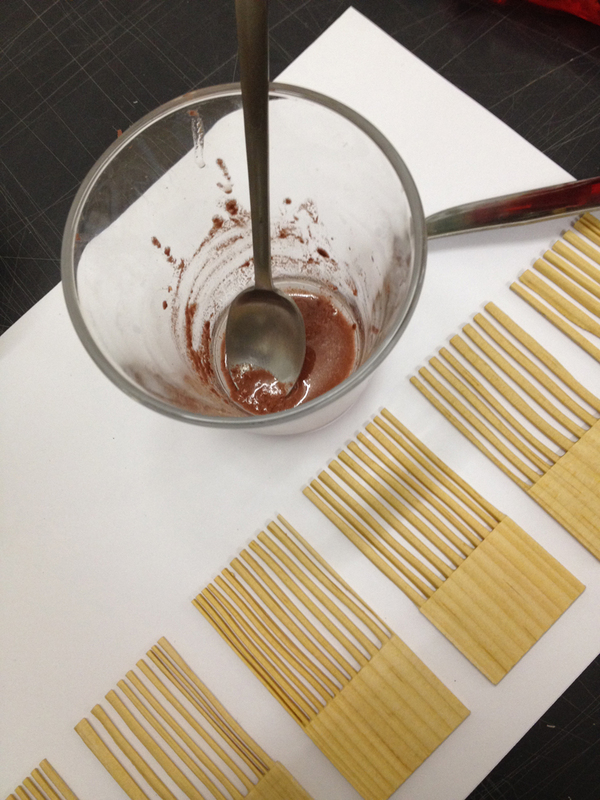 The gelatine it contains creates a nice paste in which we could dip our matches. 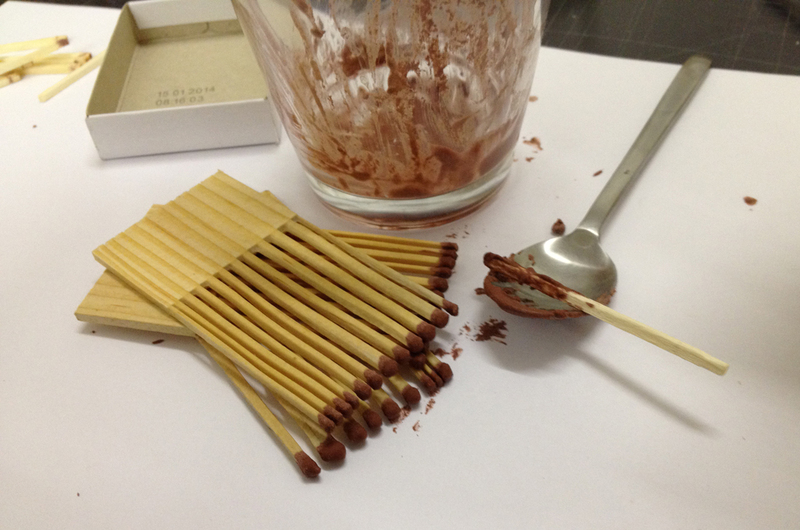 After drying for 48 hours these matches are ready to set fire. In the near future we hope to further develop and professionalize this process with the help of a chemist. 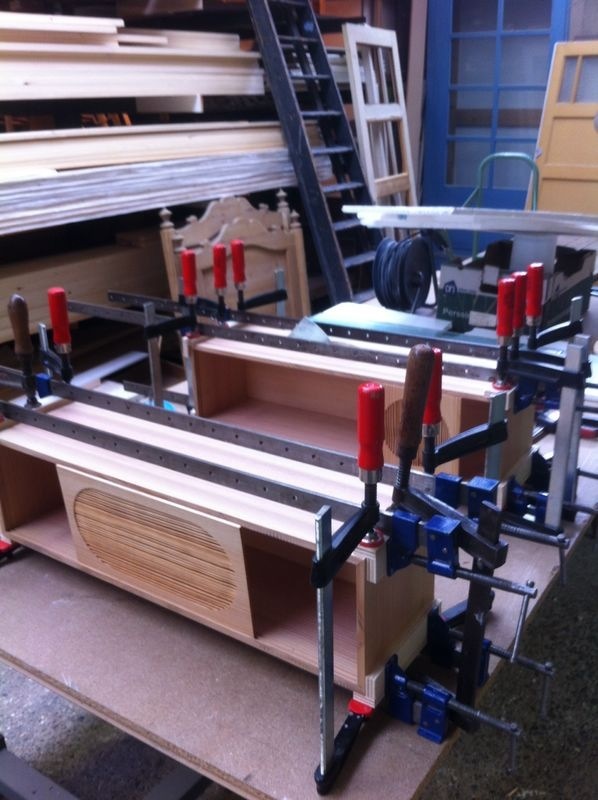 The cabinets clammed at the workshop of Theo van den Bergh. Another functional object we’ve added to the original series of five products is a cabinet that can be hung on the wall. In the sliding doors vertical and horizontal sandblasting is combined, creating a beautiful grid that changes whenever the panels are shifted. 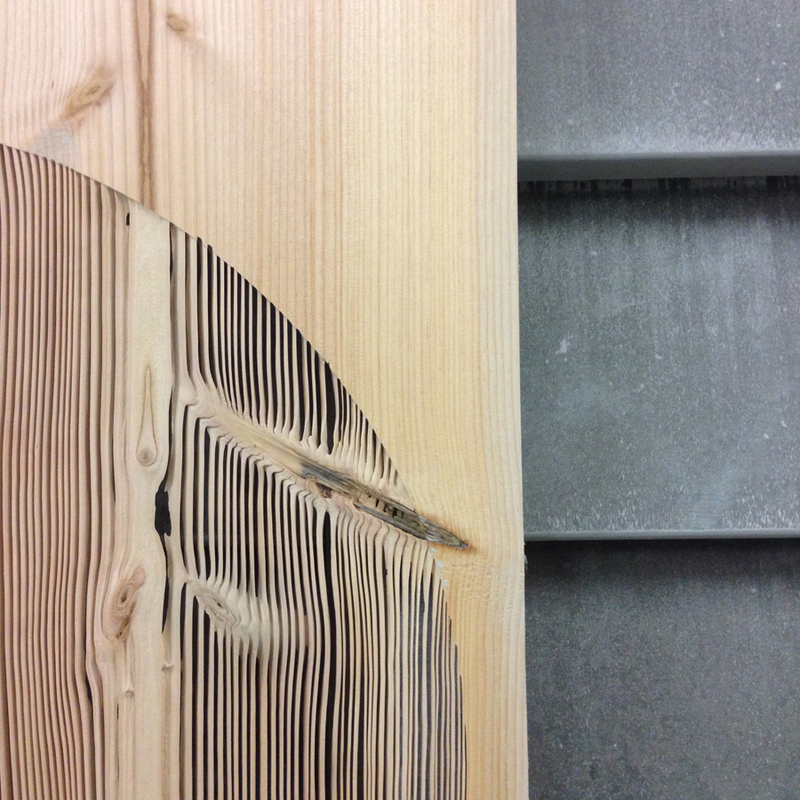 Again we sought refuge at the furniture workshop of Theo van den Bergh, who helped us assembling the cabinets. The sliding doors of the cabinet, combining two directions of lines. One cabinet contains three sliding panels; one rectangular and two square ones. Here you see the different variations of shapes. Lex at the sandblasting studio, removing the stickers from the room divider and admiring the result. 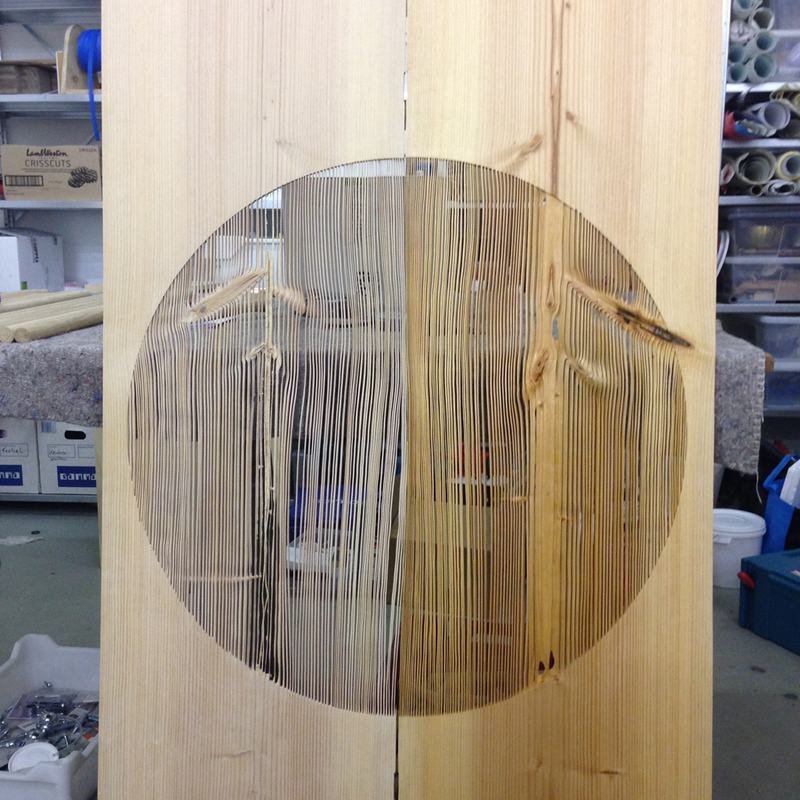 There is only one, unique room divider coming out of our first tree, since you need the largest panels that come from the middle of the trunk to make it. This object shows the full intersection of the wood, exposing the heart of the tree, its first annual ring. This is the single product in the series that uses the irregular beauty of the knots. A knot marks the location where branches used to be. So even in its core, you can trace the anatomy of the tree. It makes for a complex and spectacular object that we are particularly proud of. 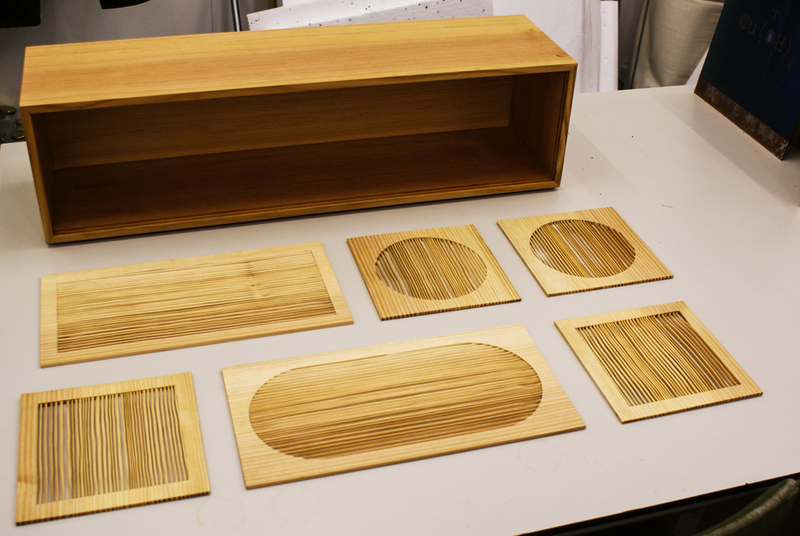 The room divider with one part sanded, the other sanded and treated with hardwax oil. To give an impression of how laborious and complicated it is to create such an object: about eight hours of sandblasting go in to making this room divider. In the series all products have different thicknesses, the room divider being the thickest, the poster and matches the thinnest. For the thin objects sandblasting from only one direction suffices, the rest needs to be attacked from both sides, making it an elaborate job.